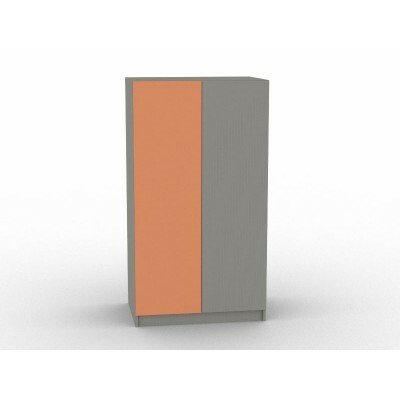 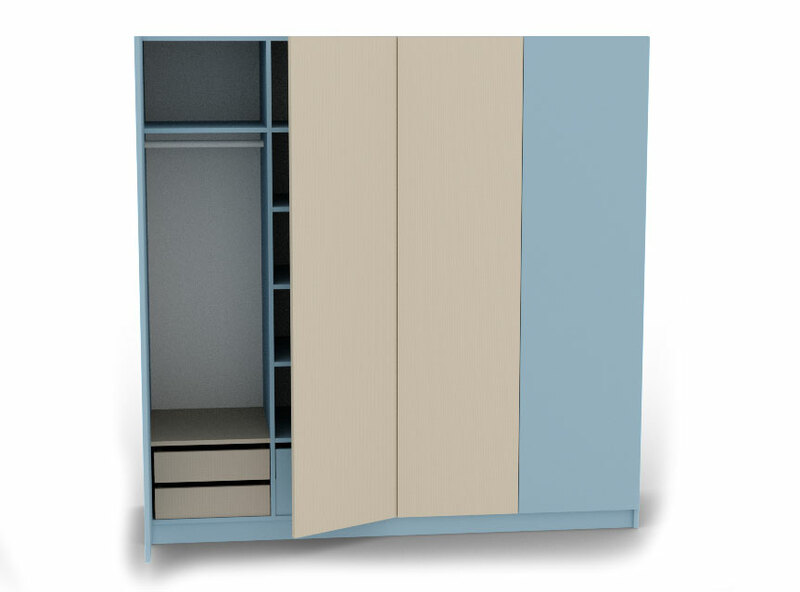 Easily design your wardrobe : number of columns, number of shelves, with or without doors... And not forgetting the large range of colors. 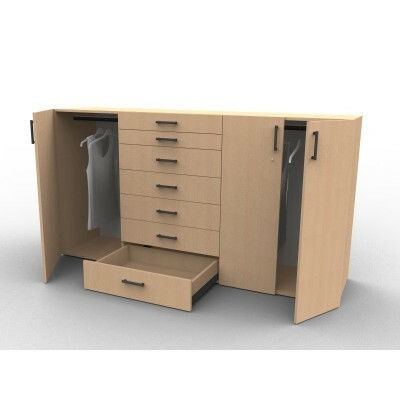 Our arragements of wardrobe are totally custom-made. 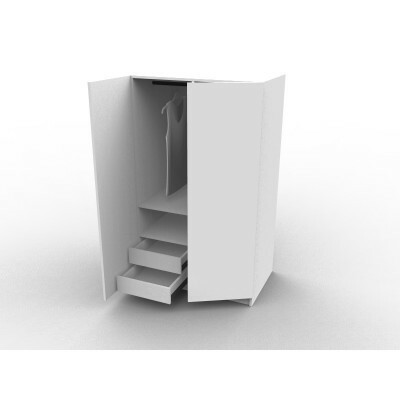 They are delivered in kit, easy to assemble. 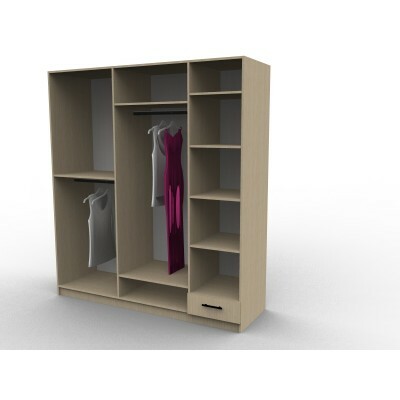 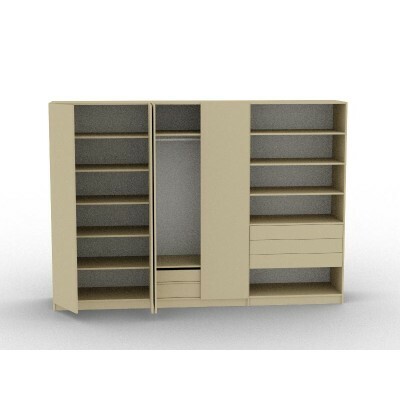 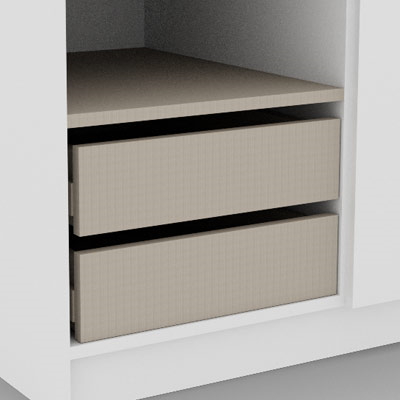 Choose the sizes and the arrangements of your custom-made furniture : make a wardrobe entering the dimensions you wish in our configurator : add a clothes bar of 90 cm to put your coats, and shelves with a space of 30 cm to put all your clothes. 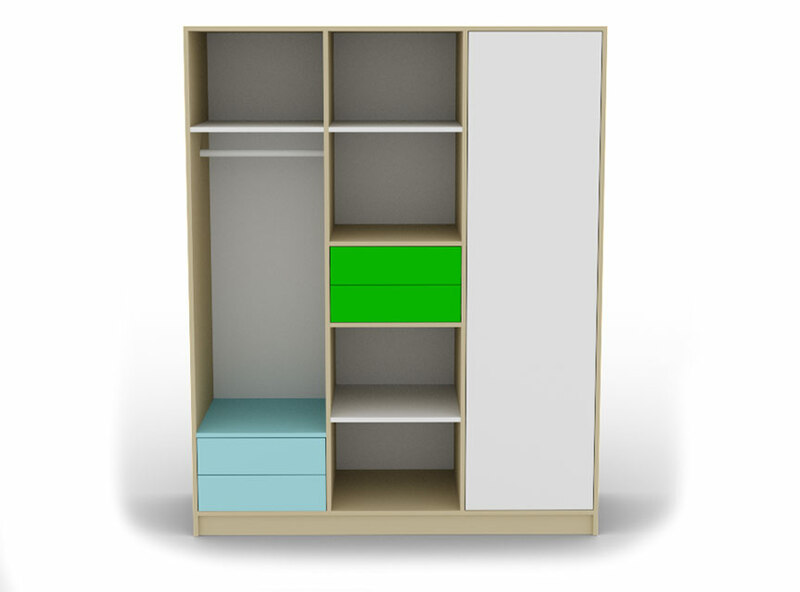 Keep a space of 90 cm to 1m between the bar and the bottom of your furniture is you want to suspend your shirts, almost 1m10 for the jackets, 1m60 for the dresses and coats and finally 1m20 for trousers, if you decide to suspend them. 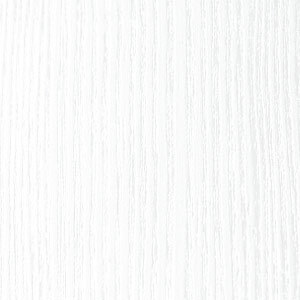 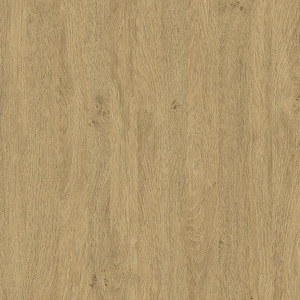 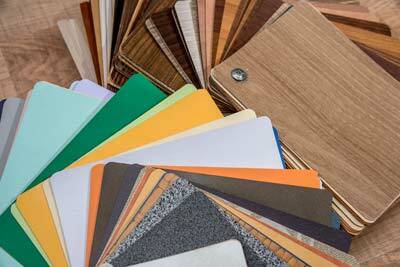 Continue by opting for your colors among a range of 100 : from the green, blue for the classic color passing by wooden finished to give character. 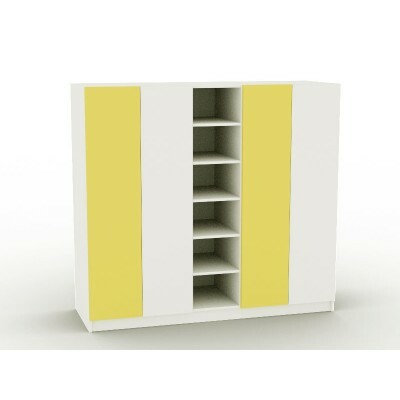 You can also start from scratch if you do not have found the custom-made furniture that you need ! 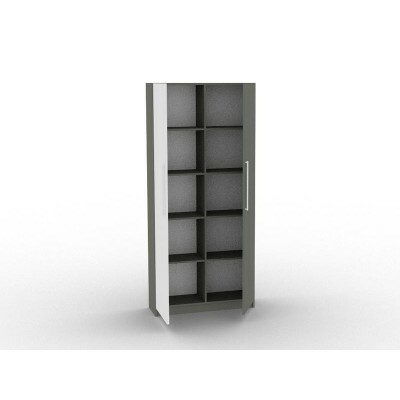 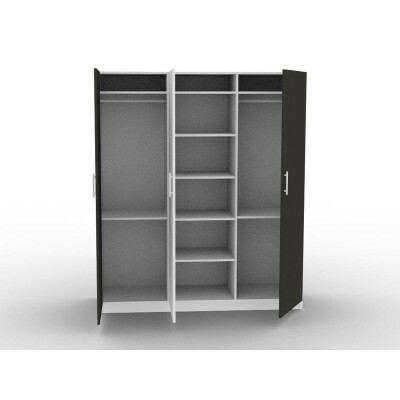 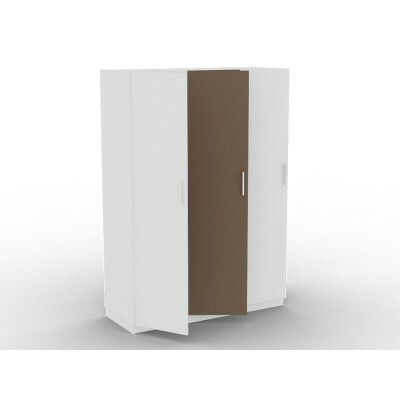 DessineTonMeuble offer wardrobes with doors completly customizable : with or without handles, cased or exceeding the frame to please everyone. 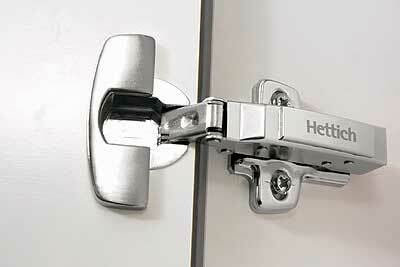 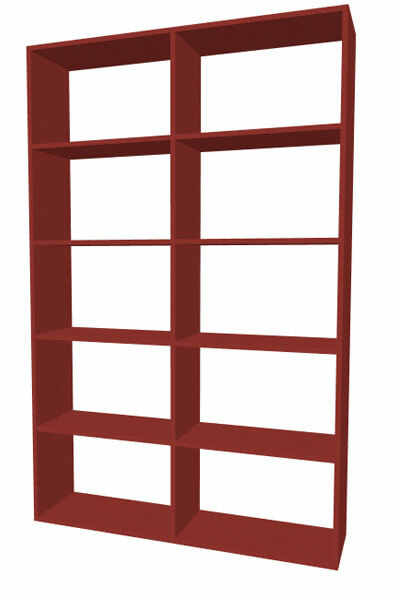 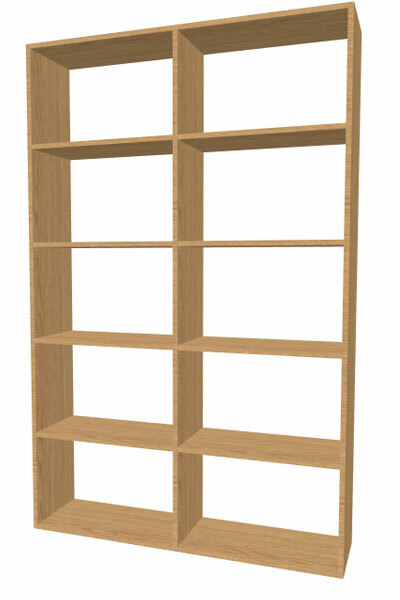 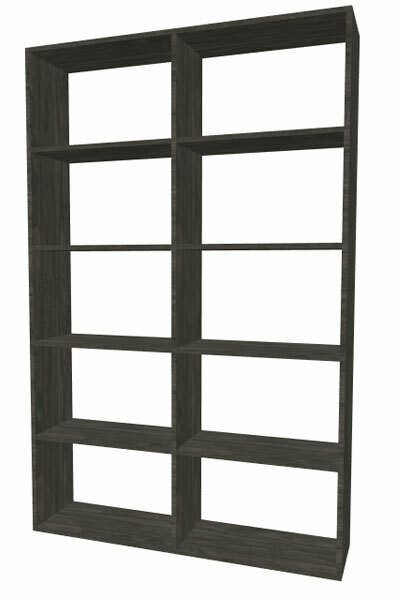 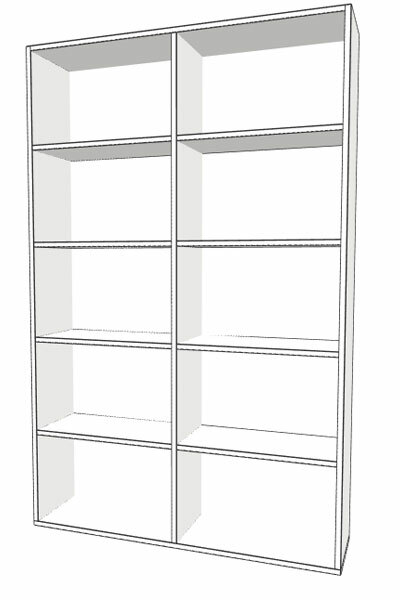 For the arrangement, we offer in exclusivity sliding shelves. 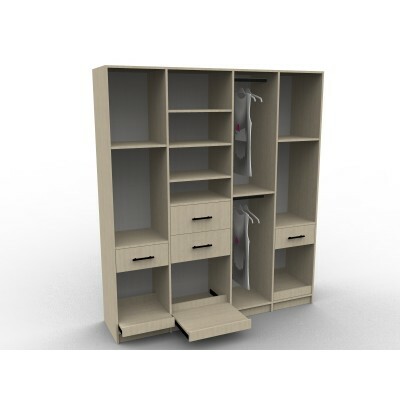 Ideal to put all your shoes. 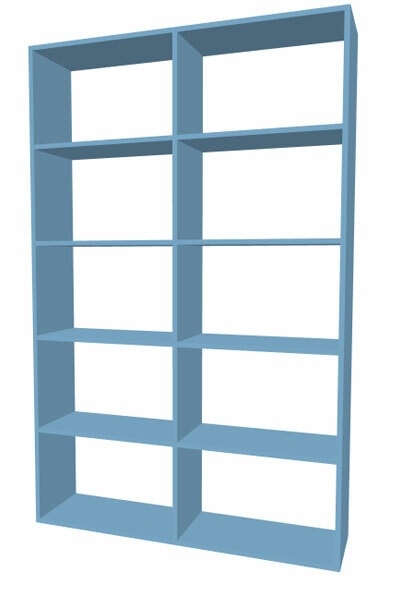 Place those sliding shelves where you want, we provide sills toavoid all falls ! 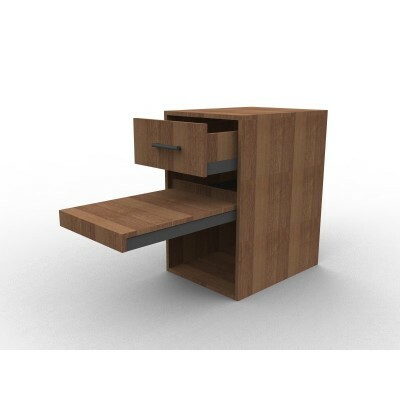 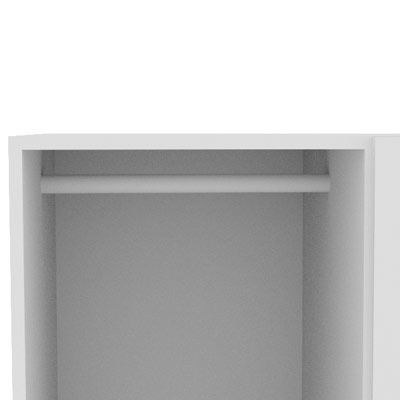 Clothes bars can also be sliding, also exclusively with DessineTonMeuble ! 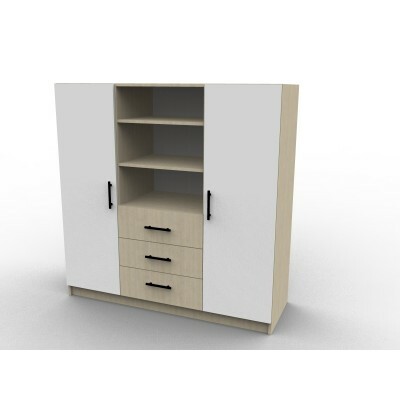 We obvioulsy provide all hardware and accessories for the assembly of your furniture : wedges for shelves, slides of higher quality for the drawers, handles and clothes bar. 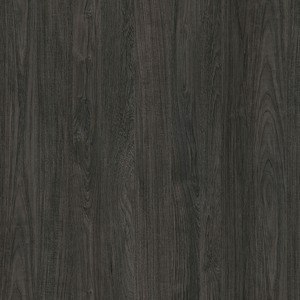 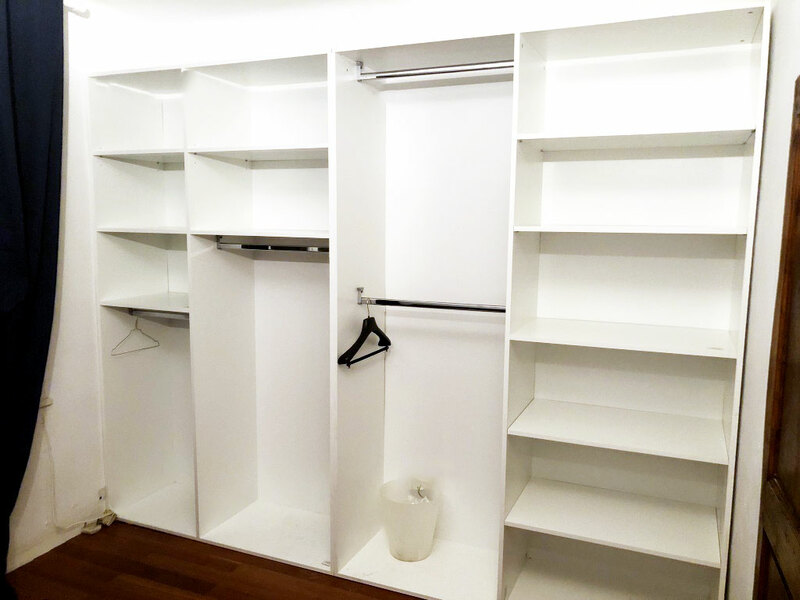 We also offer you to arrange your wardrobe under a slope or under the stairs, if needed. 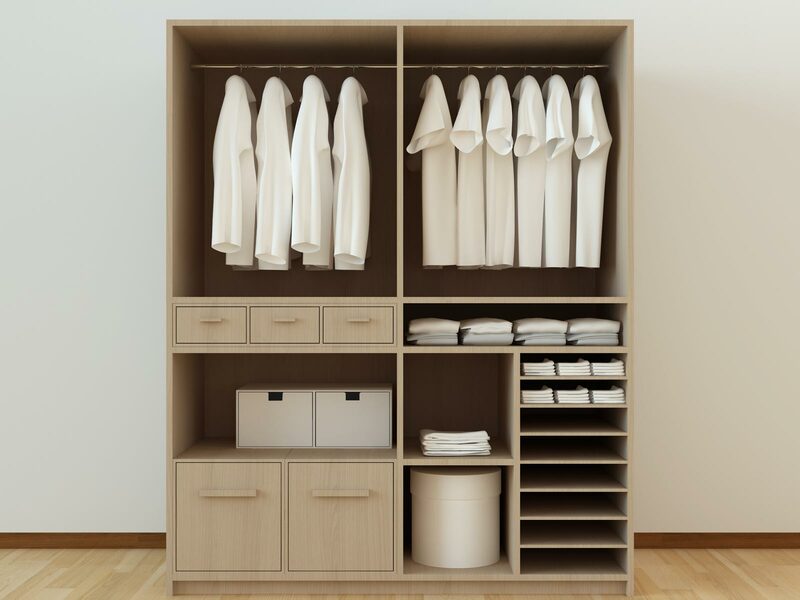 Un parfait dressing équipé sur mesure pour la chambre.  The use of Google Chrome, Mozilla Firefox, or Edge is strongly recommended. 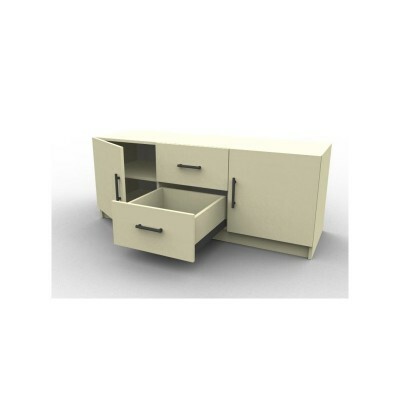 Aryga is your private custom furniture manufacturer: thanks to web-based configurator, you can create your furniture exactly the way you want. 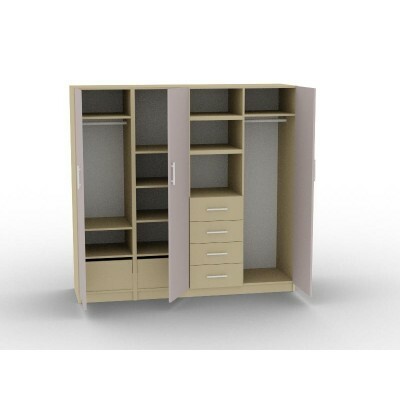 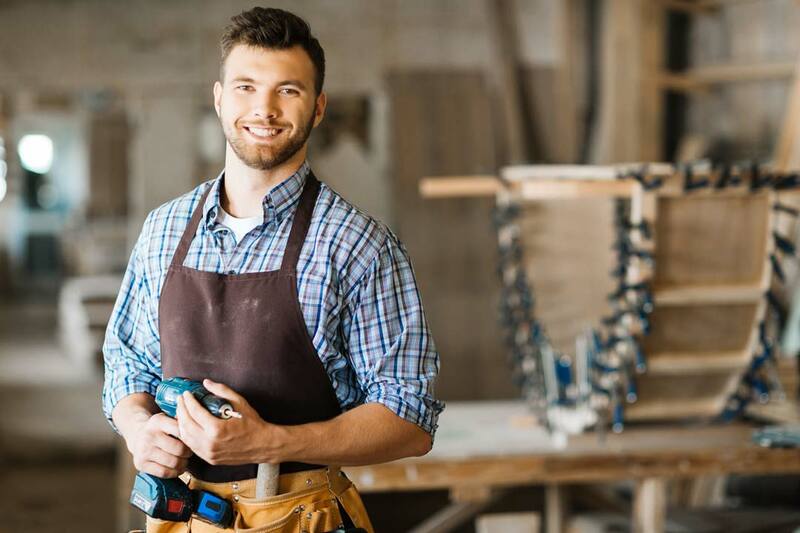 Your furniture will be manufactured to the highest standards with top-class materials and hardware, and delivered to you as a complete kit ready top assemble. 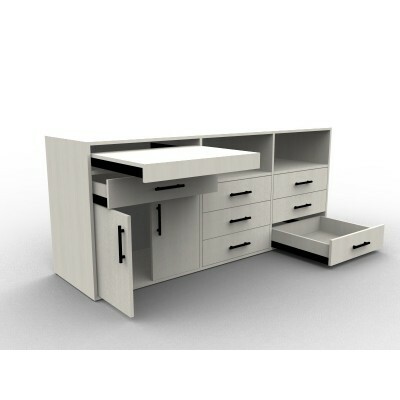 All this at an unbeatable price. 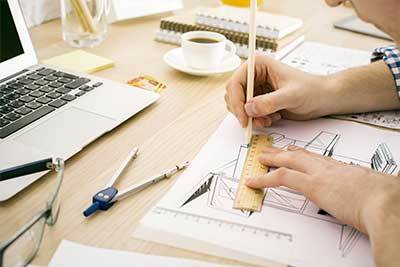 Do not hesitate to call us at (+33) 3 65 96 01 16 we will be happy to help you with your project !